Mormon Mommy Writers and Friends: Stuck! So you had what you thought was a great idea for a story. Maybe it was a great character, an interesting plot line, or perhaps just a topic you thought would be fun to write about. You dug in very excitedly and for a while things were going great. 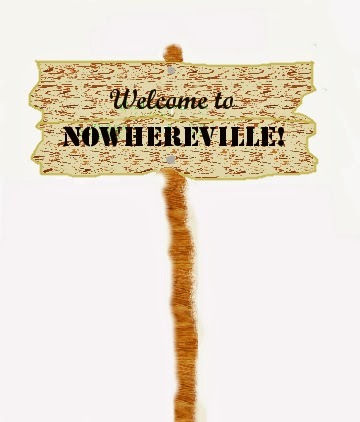 That was until you landed yourself right in the middle of Nowhereville. You know, the place where ideas, dialogue, action, anything interesting or even just the next sentence in your story are nowhere to be found! Yep, you're stuck. No writer likes to find themselves in this place. But nearly all of us have been or will eventually be there at least once, if not many times. It's a very frustrating and depressing place. If you sit around long enough waiting for the bus to pick you up, the only bus making the rounds may be the bus headed to Writer's Block. 1.Walk: Literally. Put the computer or notepad down and take a walk, or do the dishes or the laundry or some no brain task. Give yourself a chance to chill out and focus on something else. But before you go, schedule a time to pick it back up and try again. 2. Skip: If you're stuck in the storyline and you don't know how to move forward, but you do know where you're supposed to end up, just skip it. Start writing the parts you do know and you can go back and fill in the missing sections later when your creative juices are flowing a little better. 3. Try taking the wrong way out: This is kind of a fun exercise to keep you writing and help you look at things from a different perspective. If you can't find the right way to push forward on your story, try writing the wrong way. Write down the ideas you know won't work, sound uninteresting or ridiculous. Try making it as bad as you can or the complete opposite of what you want. But do it for real. Really try to write it that way. Hopefully along the way you'll start to see what you really want there or you'll read it later and find it is so bad nearly anything will be better. Then you won't be so picky about getting it just right. 4. Hitch a ride with a friend: And by 'friend', I mean a different manuscript. If worst comes to worst, put that book down and work on something different or something new for a while. Sure this manuscript has a lot of potential and shouldn't be abandoned forever, but it is counterproductive to let yourself get so frustrated or unhappy that you no longer want to write at all. Your next book idea may be so much better. And it's really exciting to pull out an old unfinished manuscript and realize what a gem it was and get flooded with a bunch of new great ideas on how to move forward. The trick here is to keep yourself writing. There are just a few of my ideas. I would love to hear about and try out some of yours, because being stuck in Nowhereville is nowhere I want to be! All great ideas, Lacey! Thanks! I love the idea of taking the "wrong" way out - what a clever way to break out of a funk...or to create a really compelling mistake for your character to make!